What if you could reverse Alzheimer’s disease? It would certainly have an enormous impact on many people. According to the Alzheimer’s Association, over 5.5 million Americans are living with the condition, and 1 in 3 seniors will die with it. In addition, Alzheimer’s is the 6th leading cause of death, and there’s little you can do to treat or reverse it. For Mark Hatzer, though, sparse research on reversing Alzheimer’s didn’t stop him from trying something different, according to a report in BBC. Mark’s mother, Sylvia, had progressed quickly in her onset of the disease, reports the BBC. To combat that progression, the Hatzers made changes to Sylvia’s diet and lifestyle. Those changes included eating a diet rich in fruits and vegetables, especially berries. On the other end, however, experts might remain skeptical. The BBC reports that researchers still need strong evidence for the idea of slowing or reversing Alzheimer’s using diet. Some research does support Mark and Sylvia’s experience. For instance, small studies have suggested that blueberries can improve memory, a food Sylvia now eats regularly. According to Medscape, Dr. Robert Krikorian from the University of Cincinnati Academic Health Center led research in studying how blueberries affected memory. In one study, 47 adults who had mild memory impairment ate either a freeze-dried blueberry powder or a placebo every day for 16 weeks. A second study used over 90 adults and tested several memory boosters: blueberry powder, fish oil, fish oil and blueberry powder, or a placebo. Both studies achieved interesting results. The first showed improvement in “semantic access,” meaning that people could better recall general facts than before. They also improved their visual-spatial memory. In the second study, the results weren’t as significant. However, adults who ate the blueberry powder simply felt better and enjoyed an increased “sense of well-being,” says Dr. Krikorian. When you think about the antioxidants and other nutrients packed inside blueberries, memory improvement does make sense. However, larger studies would be needed to confirm this result. The findings were presented at the 251st National Meeting and Exposition of the American Chemical Society in 2016. 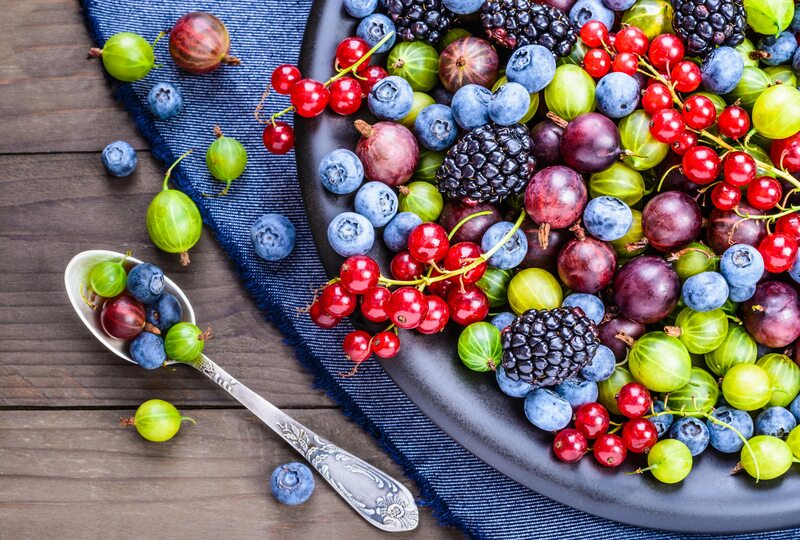 Berries weren’t the only thing Sylvia Hatzer ate to improve her memory, says the BBC. Other foods turned into staples as well, such as leafy greens and sweet potatoes. Since the Hatzers focused on these healthful fruits and vegetables, Sylvia didn’t eat as many processed or sugary foods. Overall, this diet focus resembles that of the Mediterranean diet, and research has found this eating style to improve memory across many age groups. According to Health, one review published in the journal Frontiers in Nutrition found that most cases of adherence to the Mediterranean diet resulted in boosted memory, including slower memory decline. READ: The Mediterranean Diet: Should You Try It? Some of its 18 reviewed studies found that participants had even decreased their risk for Alzheimer’s disease. If you’re wondering then whether diet can have an effect on Alzheimer’s, the research suggests that it can. However, to what extent and in what ways may vary based on each person’s specific diet and genetic disposition. Can a patient’s diet reverse Alzheimer’s? You’d need more research to make that bold a statement. But eating a healthy, plant-filled diet won’t have negative effects on the body and is certainly worth a try.